Excited about where the Highfive Journey might take you? Awesome! Now it's time to get ready to embark. To get the most out your Highfive journey, we suggest focusing on 3 main areas: technology, people, and change. 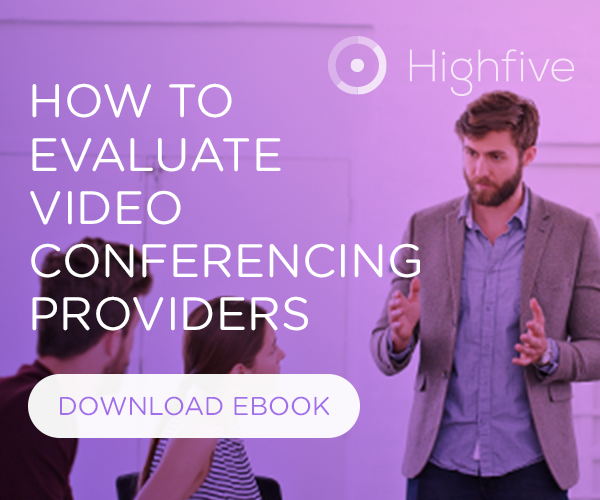 Which locations and conference rooms will Highfive be in? Who will be your Technical Champions? Is your technology environment ready for Highfive? Which team(s) will use Highfive first? What other teams will use Highfive next? Who will be your Team Captains? How will these teams potentially use Highfive for daily work? How will you communicate and drive awareness about Highfive? How will you enable and support Highfive across teams? Who will be your Change Champion? The questions in each checklist will hopefully help you understand and prepare for what the Highfive journey entails. We also suggest connecting with a member from the Customer Success team for any follow-up questions or deep-dives into each area.